The Health Select Committee has been looking into the nitty gritty of how services and support for the disabled and elderly will be paid for in the context of less resources and increasing demand. Professor Ruth Hancock and Professor Stephen Pudney from the Universities of East Anglia and Essex have submitted evidence to the inquiry which challenges whether recent proposals to integrate health and social care are the best way forward. The researchers also suggest some evidence-based alternatives. Disability benefits for older people consist of two main benefits. Attendance Allowance (AA) which can be claimed from age 65 onwards, and Disability Living Allowance (DLA) which must be claimed before reaching 65 but can continue in payment beyond 65. DLA is being replaced by Personal Independence Payment, which has a similar structure but is subject to new assessment procedures. AA and DLA are neither means-tested nor taxable, but receipt of them can trigger additions to means-tested benefits through the Severe Disability Premium. They are intended to make a contribution towards the extra living costs that disabled people face such as higher transport costs, paying for help with activities of daily living and so forth. In 2014, the Barker Review recommended that Attendance Allowance be brought within an integrated health and social care system to contribute to a more graduated pathway of support. Administration of the benefit would move from the Department of Work and Pensions to a body (or bodies) responsible for commissioning health and social care, possibly local Health and Well-being Boards. The idea behind these changes was that AA would start to support older people at lower levels of disability, means-tested social care would support those with medium needs and care for those with high needs would be free. The Review concluded it was not a good idea to cut the level of financial support that AA offers. Yet, the purpose of bringing AA within the Health and Care system was not made clear. In 2009, we submitted evidence to the Social Care Inquiry on the role of Attendance Allowance and Disability Living Allowance in the support of older disabled people. The thrust of that evidence was that any switch from a dual system of support to a single system providing only care services will greatly increase the uncertainty faced by potential applicants for support and the risk of uneven administration and that increased uncertainty posed a significant threat to take-up. We have since updated that research using household survey data from the English Longitudinal Study of Ageing and the Family Resources Survey, so it is confined to people living in private households and excludes older people living in care homes. We were able to develop a statistical method that enabled us to uncover the underlying level of disability, on a continuous spectrum, that results in difficulties with activities etc. which respondents report in surveys. We found that to achieve the same standard of living as otherwise similar people without disabilities, older people with disabilities need on average about an extra £100 per week in 2007 prices. The amount varies considerably according to the level of disability. Those with the severest levels of disability need much more. Although not explicitly means-tested, AA/DLA payments are more likely to be taken up by people on low incomes because they are more likely to have severe disability and are also more likely to make a claim. Receipt of AA/DLA and receipt of local authority (LA) funded social care services overlap only partially. 13% of the 65+ household population report receiving AA or DLA but only 2.5% report receipt LA-funded social care. Of those who do receive LA-funded social care, only 55% report receipt of AA or DLA. Fewer than a half (47%) of the 20% of older people with the highest levels of disability, receive either disability benefits or Local Authority-funded social care. This latest research confirms and strengthens our earlier finding that, although disability benefits are not means tested, they are well-targeted in the sense that older people on lower incomes are much more likely to receive them than those on higher incomes. However, there may be a case for tailoring the levels of AA/DLA more closely to older people’s disability levels and hence to the costs they face. We have explored some options for this, including setting the level of AA/DLA at a proportion of estimated disability costs, with that proportion being higher for those in the top 30% of the disability distribution than for those in the lowest 70%. The Severe Disability Premium (SDP) in mean-tested benefit is removed. The proportions of estimated disability costs used (59% and 29% respectively), combined with removal of the SDP, result in the reform being broadly revenue neutral. This option brings the level of total public support (AA/DLA plus publicly funded care) closer to disability costs at the highest disability levels. In practice it is unlikely that levels of AA/DLA could be tailored so closely to individuals’ disability levels. But the analysis does suggest that introducing higher levels of AA/DLA for the most disabled could improve targeting. We also find that this option is more effective at reducing poverty amongst disabled older people than the current system and it reduces targeting errors, despite removing the means-tested component. In analysing this reform we assume no change in the reach of AA/DLA but if take-up/award of AA/DLA could be increased amongst the most severely disabled, targeting would be improved further. As far as the proposal to concentrate all public support for disabled older people in a unitary system with a single assessment process is concerned, this cannot be assessed properly without considering systemic and individual uncertainties. The issue of uncertainty or risk has been largely ignored in the policy debate and in the research which informs the debate. Public scrutiny is an important factor promoting effective delivery of disability support, and that scrutiny may be more intense at the national than at the local level. Consequently, a concentration of responsibility for delivery in the hands of local bodies is likely to increase the systemic risk of unevenly targeted delivery of support. And what about risk at the individual level? Any system of claim assessment is necessarily uncertain, since it relies on officials’ judgments about disability and need – and the high success rate in claim appeals procedures demonstrates how uncertain those judgments can be. On the flip side, some people with strong potential claims may, by chance, never become aware of their potential eligibility, and so not make a claim. With two parallel forms of support with separate assessment procedures, the risk of being missed completely by the system is likely to be considerably reduced. That in turn would reduce the number of people in severe need who receive no support at all. Overall, given our research findings, we see a distinct role for cash benefits like AA/DLA within the system of public support for older disabled people. The delivery of benefits to those in need is far from perfect but we see no reason to believe that a unitary system of disability benefits and care service would be better targeted, and there is a risk that it would be considerably worse. It may increase the – already large – number of severely disabled people on modest incomes who receive no public support at all. 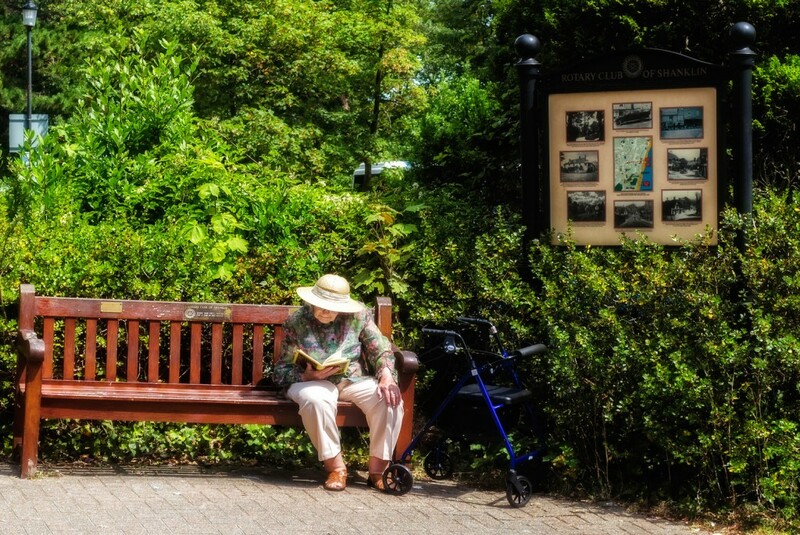 “Disability and care needs in the older population: disability benefits, social care and wellbeing” and the ESRC Research Centre on Micro-social Change at the University of Essex. Support was received from the Nuffield Foundation through the project “Care and support of older people living in the community: understanding receipt of formal and informal care, payment for services, provision of informal care and their implications for policy”.